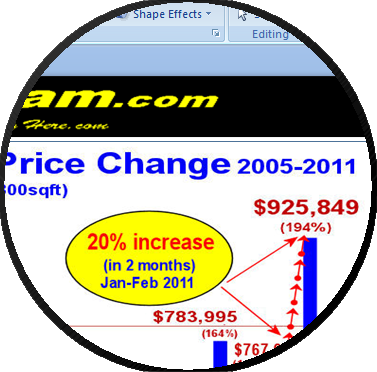 Compare home prices changes in our world. Local Fraser Valley residents have purchased far more R. E. investments in Phoenix, Las Vegas or Palm Springs in the last year than they did locally, but those investments are long term and have yet to go up! So don't you wonder how our home prices really compare to rest of the western world? This study examines the USA, Canadian and English markets since 2005. Bottom line is that Richmond and Burnaby appear to have set the western world home price increase records in the last 7 months. Still today a new Bosa condominium project in the Metro town area with completion a few years ahead can sell out in just a few hours. How many of these Chinese investors will actually live in their Condos? I highly suspect that this could be a 50% - 70% speculation group with plans to flip the property far before it is ever occupied. Richmond versus Abbotsford and Calgary Comparisons from the 2008 peak. Aug 15 2011 Vancouver Market Finally Slows Down!!! The crazy Vancouver market finally drops after record setting price increases from White Rock to Port Moody. Now that the American debit issues and the stock markets appear to have stabilized, our consumer confidence should strengthen. Never before have we seen our market places just a few miles apart - like the Vancouver side of the Port Mann bridge on the Fraser Valley side - act like day and night. One of my listings in Burnaby has had possibly the most buyer activity in my 28 year career and a similarly priced home in Chilliwack has been nearly the slowest in my career. Bottom line , probably each hour $$millions in Chinese money is landing at the Vancouver airport and getting injected into our Chinese Corridor housing, yet virtually none of this money is reaching the valley. In our Abbotsford-Mission-Chilliwack area it is still a buyer's market. This is an investor's dream whereby some homes that have had no showings all year and need to sell will in fact sell for extremely good wholesale prices. Mortgage rate Increases promised just a few weeks ago are now probably going to go down as the Americans have agreed to hold these low rates for 2 more years. The "Why We Love Living Here" neighborhood profile movies are going extremely well and proving to be one incredible marketing tool.. I am now marketing homes from Burnaby to New Westminster Mission, Abbotsford, and from Chilliwack to Agassiz. 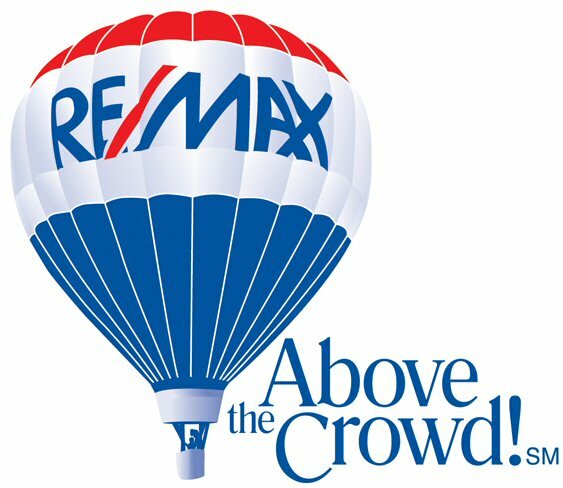 I have compiled an extremely large database of virtually all the 1,000s of Realtors that have sold homes throughout the lower mainland which is an amazingly effective marketing network. , if you have already received your Bill Coughlin's Gift Card be sure to read the latest gifts (over $1,200) and activate your card. click here. Boy oh boy the Chinese have really taken over Vancouver! , I think the Greater Vancouver area is now acting much more like a Chinese province and a financial arm of Beijing or Singapore that is totally independent of Canada's economics. Could anything on the west side of the Port Mann bridge including Port Moody double in a few more years? Today, the old style of Real Estate Marketing is not working as we fight for every sale out here in the valley, but wow has our YOUTUBE video marketing worked well! This type of "WhyWeLoveLivingHere" marketing recently enabled us to set near 3 home sale records! So today it is all about networking! You should see what we have done to connect other businesses with our Loyalty Gift Card program! 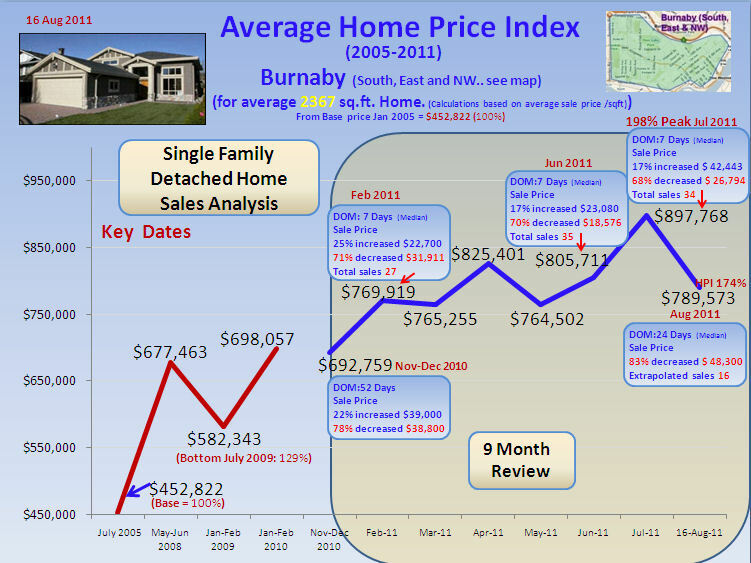 Burnaby and Coquitlam home prices are up $100,000+ and Richmond drops $105,000 in only 4-6 fast weeks! ..ok it is unofficial but the west side of the Port Mann is really just becoming a province of mainland China. About 30% of our buyers seem to come from the west and what happens there affects our home prices and real estate market here, so I make a point of understanding it. The Richmond single family detached residential market has just experienced some serious market manipulation with short term speculation. Back In January and February, we saw many homes purchased with longer completion dates and assignment rights. There has been a large contingent of speculators that purchased about 50 standard homes on normal sized lots and they are now offering many of these assignment sales contracts back up for resale at $100,000's more. The days of multiple offers and selling at the average of $49,000 over list with only 10 days on the market are gone. 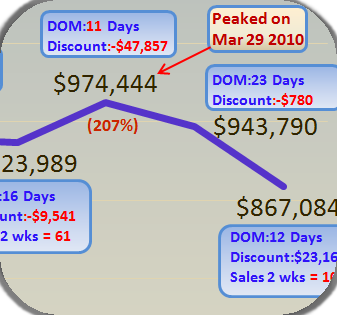 The current discount to sell this week is now averaging $28,000 below list and the average price based on sp/sqft is now down $110,000-$160,000 from the March 29 2011 peak. With fast increasing inventories, MTI and poor sell through rate ( STR ) absorption this confined market in Richmond West of #3 road will now experience continued pressure on selling prices. Minter Gardens Tulip show and "Slug Races" a fun flop! 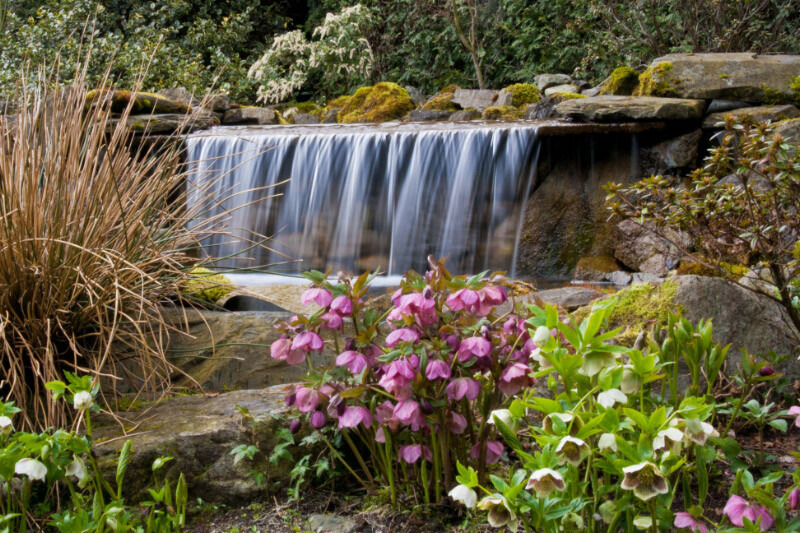 Yes on April 17, many parka-clad enthusiasts braved the sleet, the snow and the rain to witness the 1st International Slug Races and Tulip Show at Minter Gardens. Slight problems were: No sunshine as promised, No Slugs and No Tulips as they all went back into hiding after our recent snowfall. But still we all had a great time and we had a high tension race with earth worms substitutes. Joyce Schroeder was the final winner and accepted the nomination as the Slug Queen for 2011. She is available for any major events as our spokesperson if it includes 4 star accommodation for her and Calvin. Thanks Calvin for finishing the Slugs' Race track. Dave Morrison is well on the way to winning the photo contest. Click here to see photos. The Chinese Investors are Coming, 20%-33% price jump in 6 weeks! I just love analyzing the market conditions to help protect people's home investment and to help them make informed decisions. For example, in East vs West Abbotsford you will see perhaps how these areas are affected quite differently. From July of 2009 to January 1, 2010, Townline Road in the West Abbotsford area has gone up $45,000 and yet Mountain Village in East Abbotsford has gone down $7,000. Bill shares his secrets on how to make money in this R.E. market. A moving Market either Up or Down creates great opportunities to gain extra equity. How did Bill manage to sell his home at the exact top of the market... what was his secret? Neighborhood profile movies can really increase your selling price and they are a new service to help you, the buyers and all Realtors.